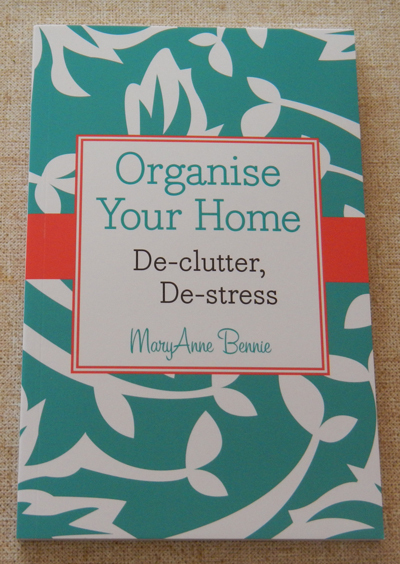 Hands up if you’ve ever needed a little boost when it comes to getting yourself organised? I know I have, and I’m not the only one. We may have intentions to do something (be it tidying our houses or sorting out our finances) but sometimes those plans get waylaid by our everyday lives. 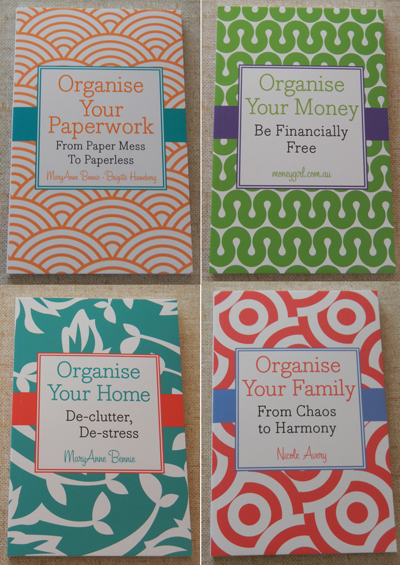 If you find yourself struggling with multitudes of paperwork, an unorganised family life, too much clutter or financial dilemmas, this may be just the little book series for you. Each book features handy tips and plans to help you stay on top of your organisation woes, and with less than 100 pages in each, you’re guaranteed to read through them quickly. 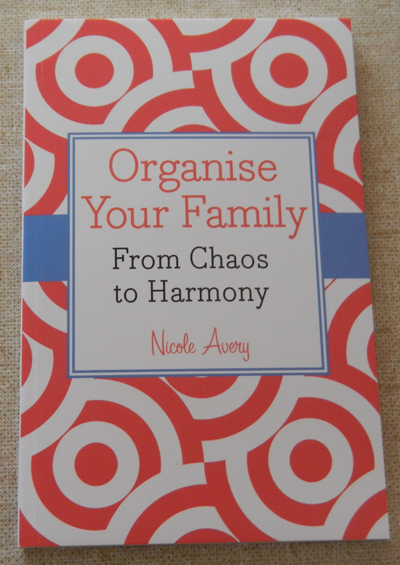 Hosting a popular blog, Planning With Kids, and having five children of her own, Nicole Avery knows all about the daily struggles involved in organising family chaos. 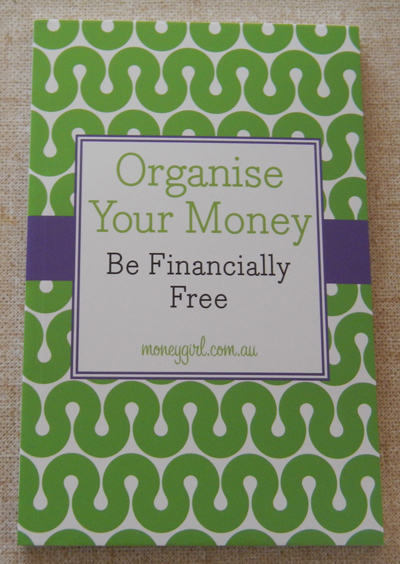 Luckily for readers, she has been able to put her experiences to good use, sharing her different organisation techniques for routine planning, meals and family financial matters in one handy little book. She explains the importance of setting regular routines for children (thus giving them a sense of purpose and responsibility), is serious about everybody contributing to family matters (no matter what age), and gives some handy hints that will help you to save time and money. Budgeting, household chores, pocket money, family meetings, cleaning, menu planning and household expectations are all covered, as is the importance of having fun as a family unit. This book only really has one aim- besides getting yourself organised and making your life simpler- and that is to have more time to spend with your loved ones. If you follow the methods in this book, you’re likely to achieve that. No matter what you do or where you go, you’re very likely to accumulate piles of papers throughout your lifetime. Bills, receipts, invitations, letters, travel documents, birth certificates, marriage certificates, divorce papers, academic transcripts, business cards- if you don’t have at least some of these pieces of paper located within your house, then you must be completely off the grid. As it is, most people do have these important papers, yet many people don’t have any reliable or organised method of keeping them in check. This book contains all the information you need to get your paperwork (and emails) sorted out, so that all like documents are kept together and you are able to find what you’re looking for easily. The system, when used correctly, is guaranteed to save you time and money (because you will no longer have to pay overdue fines from misplaced bills, or spend hours searching for important information). 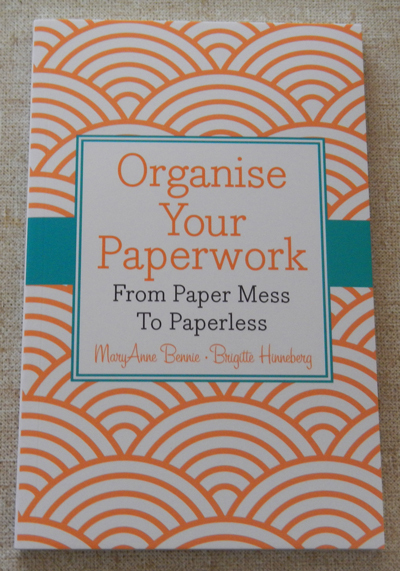 Set out in simple, easy-to-follow instructions, this book aims to help you control and organise the flow of paper that comes in and out of your house, and, in the process, make your life much simpler. Have you ever wanted your house to look like the ones in interior decorating magazines? The ones that have everything perfectly in place, with no mess littering the kitchen bench, and home storage solutions that actually look good? The author of this book is an organising guru, and has set out some simple rules about how to turn your dreams of a perfect house into a reality. She has created an eight-step plan, which involves sorting through your things (room by room), removing unwanted items (selling, donating or throwing out), tidying up what you do have and then finding suitable storage solutions for those items. Of course, evaluation and ongoing maintenance are key steps with this idea of organisation, but the process is one that most people can follow and achieve. She tackles all the major rooms, including the kitchen and bedroom, providing helpful hints along the way. While most of the things she mentions are common sense, sometimes a book like this one is just the right motivator to get your organisation process started. So pick up a copy, and start getting your house back into shape. If you’re looking to get yourself out of financial debt, or merely want to learn about what investment opportunities are out there, then this may be the book for you. Written in simple-to-understand language, without a whole lot of financial jargon, this book explains everything you need to know to become moneywise, and plan for your future financial success. The authors give tips on how to reduce and eliminate credit card debt, and go into detail about various ways you can save money. They also list several investment ideas, including property and shares, highlighting the positives and negatives of each. This book proves that you don’t have to read the finance section of the newspaper daily (although it couldn’t hurt) to understand how money works. Money-saving anecdotes from real people are littered throughout the book to show that anybody can organise their money and make it work for them.